In this deals roundup, you will come across a bunch of portable speakers which are available on Paytm with a hefty price cut. Are you on a lookout for a portable speaker? Want to take your music everywhere you go? Then don’t worry we got your back. We’ve found some of the best deals of the day under which you may able to grab the desired one under 1.5K. The list includes speakers from brands like Sony, Philips, boAt and more. So, let’s get started. The Philips BT50B is a portable speaker that lets you stream music from your smartphone. The device is equipped with an anti-clipping feature that allows you to play music in a high quality even when the battery is low. It comes with a built-in rechargeable battery which eliminates the fuss for cords and searches for a power outlet. 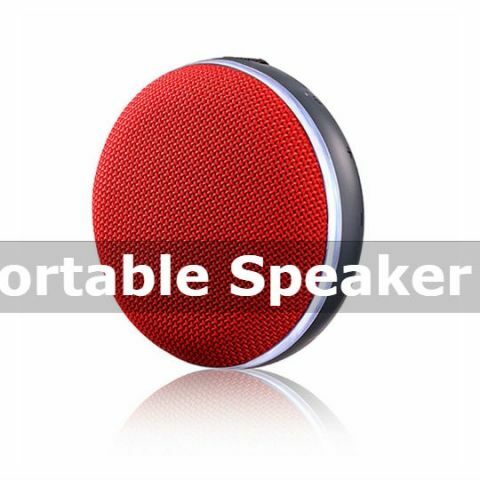 The speakers are available in four colors, black, green, white, grey. You can purchase this device here. The LG PH2R is a compact device that comes with a strap which allows you to attach the speaker to a bag or on the shoulder for convenience. The device comes with the IPx4 rating which means the speaker is able to function even after few splashes of water. The speaker offers 360 degrees sound with a rechargeable battery which as per the company can provide 6 hours of continuous listening. You can purchase this device here. The F&D W4 is small in shape which makes the device highly portable. The speaker is equipped with TF card, LED indicator, charging Micro-USB. As per the company’s claim, it can provide upto 5 hours of audio playback in one go. You can purchase this device here. The Philips BT64W offers built-in rechargeable battery which gives the complete portability to this device. The other features include FM radio, Micro-SD card slot, built-in microphone and a strap to carry the speaker conveniently. Take a look at this device here. The Portronics POR-781 features an in-built battery which the company claims to charged in 2 hours. It comes with 4 control buttons at the top that can be used for controlling volume, to turn on Bluetooth, and to use a mic for answering calls. If you purchase two then they can be synced together to achieve double the output. You can purchase this device here. The JBL CLIP 2 comes with IPX7 rating makes this device protected against rain and water spills. The device offers speakerphone with noise and echo-free technology for receiving calls while the phone is connected to the speaker. As per the company, the built-in battery can provide upto 8 hours of music streaming in one charge. Purchase this device here.